Unfortunately, I know how devastating the grief after a pet dies can be. When you’ve spent so much time together it’s natural to mourn, almost the same way as if a human family member had died. And of course it works the other way too, when a dog loses their beloved owner. 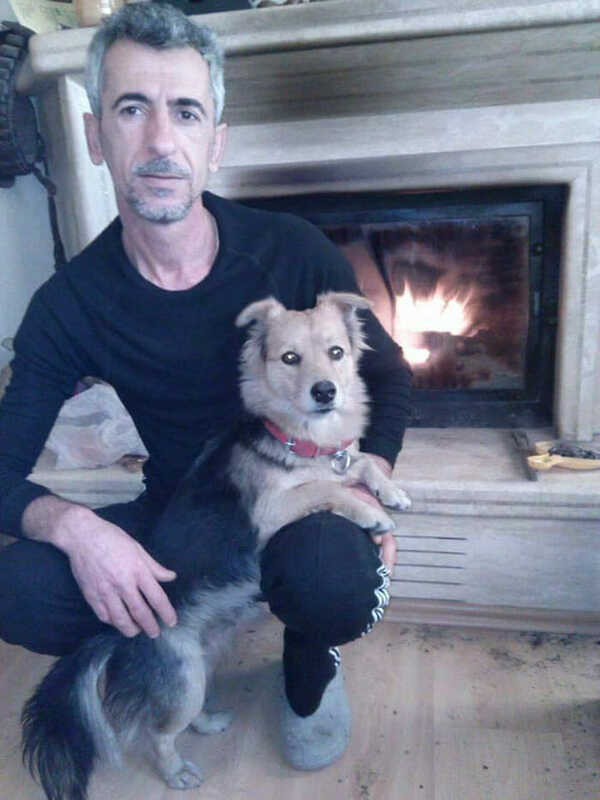 Dog Cesur lost his owner in January 2017. 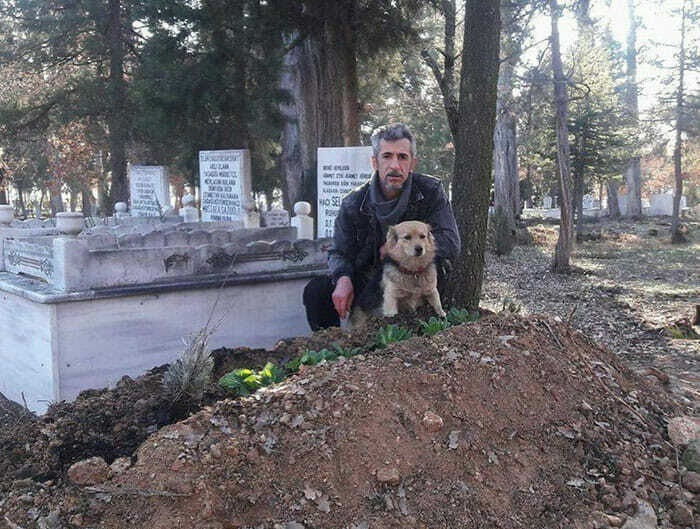 After being loyal companions for two years, 79 year old Mehmet Ilhan. The loyal dog was completely heartbroken. Mehmet had died in hospital near their home in Bursa, Turkey. He had been paralysed for many years after a serious illness. “Because of my father’s paralysis, they had a different kind of connection. When my father was in the hospital during his last days, Cesur stopped eating,” son Ali tells The Dodo. 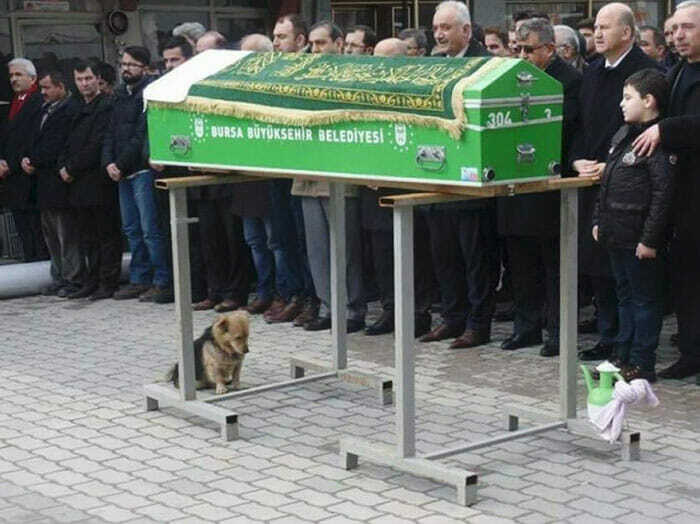 When Mehmet’s body was brought home from the hospital, his loyal dog sat by his side the whole time, refusing to move. 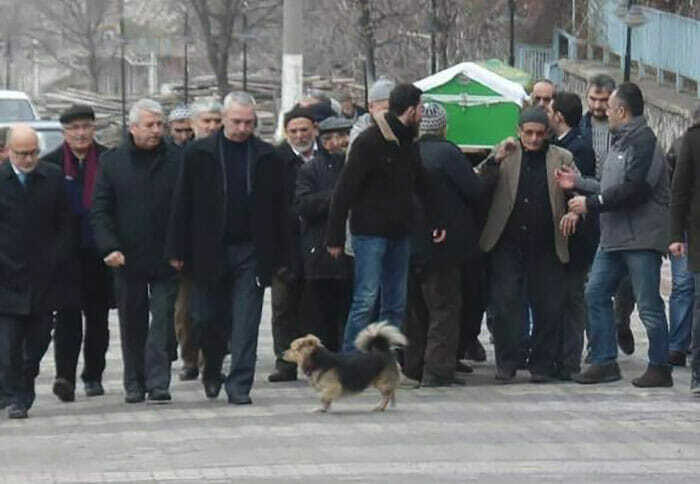 Cesur even led the way during the funeral procession on the way to the graveyard. At the funeral, Cesar sat by the casket with his head bowed throughout the whole burial. “Nobody could touch him until my father was taken to the grave and was buried,” Ali says. 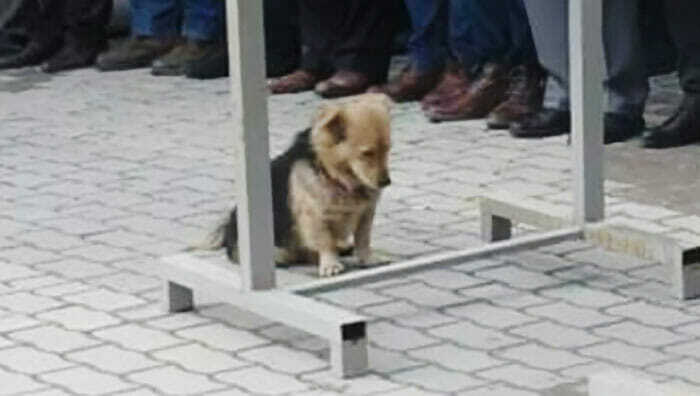 Cesur also kept watch when his owner was lowered into the ground. 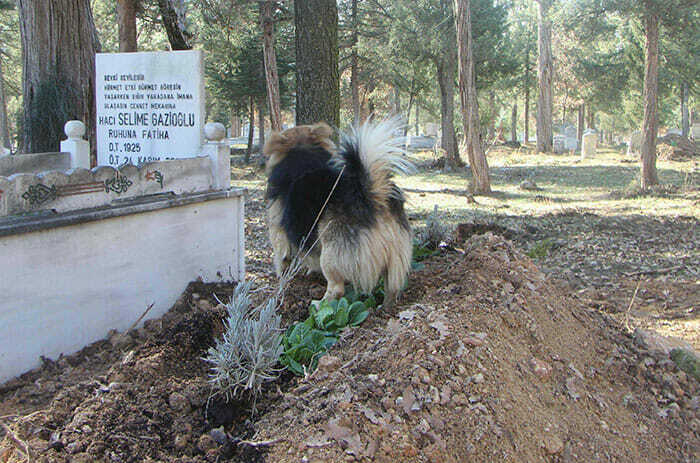 After his owner’s death, Cesur lived with Ali, but it was obvious that the dog still missed his beloved owner. After a few weeks, Ali heard that Cesur ran away from the house every day while Ali was at work. 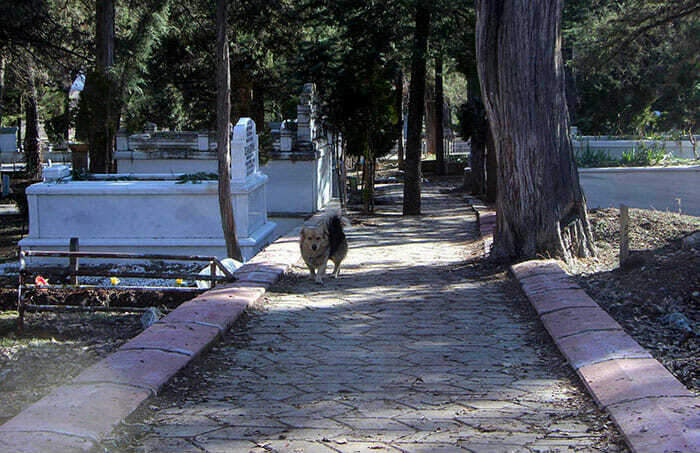 One day he decided to stay home, to follow the dog and see where he was going. 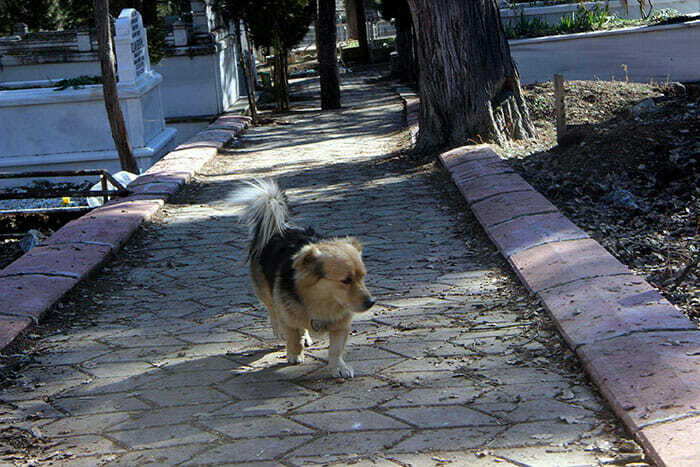 Cesur had been going to the graveyard to see visit his owner’s grave every day. 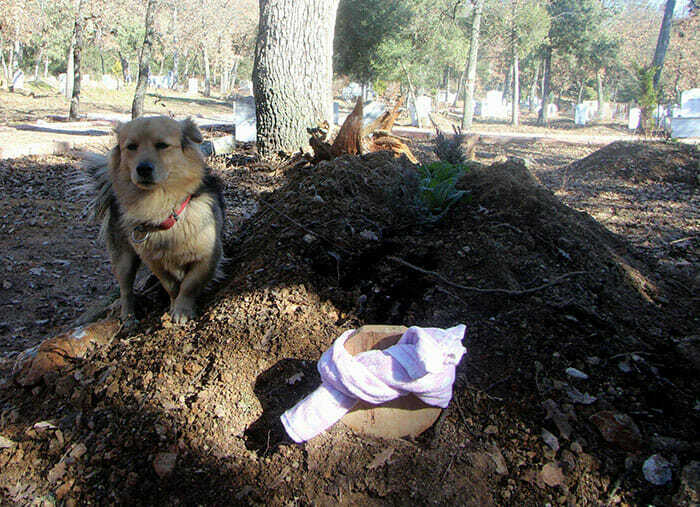 Ali even saw Cesur’s previous pawprints going to and from the grave. “The people who work in the cemetery say the first thing he does in the morning is visit the grave of my father,” Ali explains. Although no one knows if or when Cesur will recover from his grief, Ali will of course continue to take care of his dad’s dog. “Cesur has always been a noble animal. He will live with me from now on,” Ali says. If you’ve ever met anyone who thinks animals don’t have feelings, make sure to share this story so everyone knows that they do!